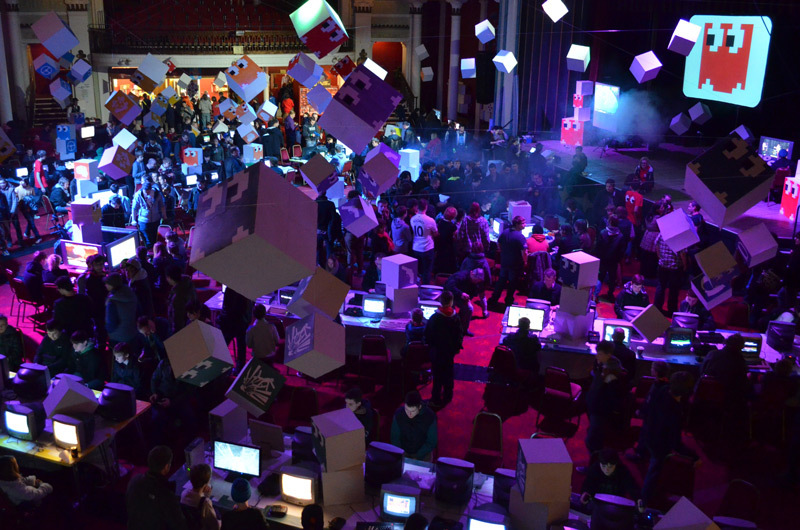 It’s hackneyed to say your event is ‘fun for all the family’ – but Kent’s biggest gaming festival really is. There’s something for everyone, from pre-school children to grandparents, when GEEK comes to Dreamland. GEEK celebrates over 30 years of gaming culture, so at the heart of the popular half-term event are video, console and computer games that everyone who’s grown up since the 1970s will recognise. Mums and dads can find games they remember from their childhood loaded onto classic computers and consoles, and show their children how they’re played. Old favourite Mario Kart celebrates its 25th birthday at GEEK, with a chance to play in old dodgem cars parked up on Dreamland’s Roller Disco. Of course, it’s not all old stuff – there will be all the latest consoles and handhelds on show, too, so children can show their parents some current favourites like Minecraft, Lego Star Wars: Force Awakens and Gang Beasts. Over the last five years, GEEK has become internationally recognised as a testbed for the latest games and technology. Virtual Reality, 3D printing, artificial intelligence Pleo Pets and other emerging technologies will be on show. There will also be an opportunity to win one of Nintendo’s brand new next-gen Switch consoles in the grand Mario Kart 25th Anniversary Tournament! And if you were born pre-1960, there will be the chance to experience new technology in ways that are easy and accessible, too. Research has shown that older people get on far better with newer devices than a traditional computer, as touch screens are more intuitive than a mouse, and the lack of wires is less intimidating. As if that’s not enough, GEEK regulars Genetic Moo have been running a series of sessions across the Isle of Thanet, enabling tech-savvy youngsters to teach their grandparents how to use new technology – and they’ll bring that experience with them to GEEK. But GEEK’s not just about playing with technology! On the Boardgame Boardwalk, Esdevium Games will be demonstrating the best new tabletop titles where players can test their bluffing, dexterity, and deck building while the Demystify Bar will be showcasing Games Workshop’s mighty Warhammer. 40 years ago, 2000AD’s gritty sci-fi transformed the comic world, and to celebrate the comic reaching middle age there will be an exhibition of original artwork at GEEK. And to round it all off, the weekend will see a range of art workshops, cardboard makes, drawing sessions and collaborative games happening across the site. GEEK really is a place where the whole family can meet, make and play together. GEEK comes to Dreamland, Margate in February half term, from 17th-19th February. For more details or to book tickets, visit GEEK-play.com.